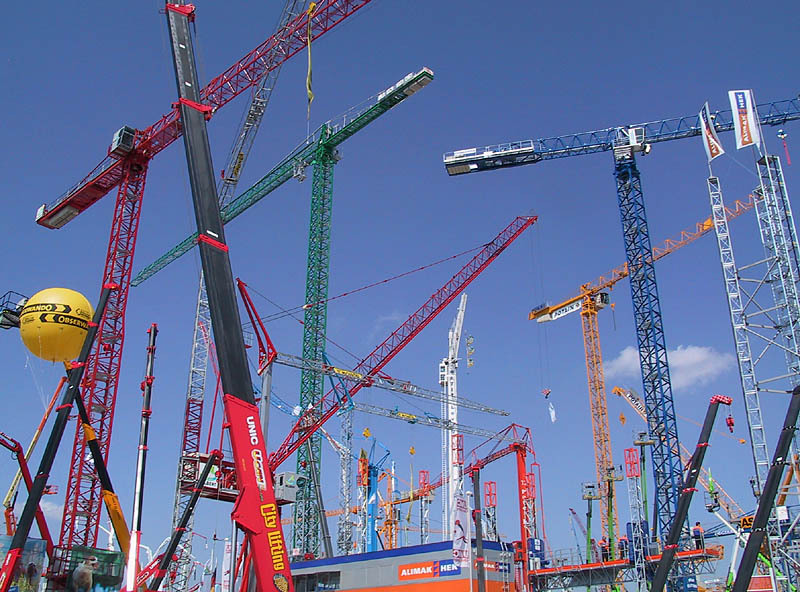 In 2007, three years had once again passed and again the world’s largest trade fair for construction equipment—the “Bauma” in Munich, Germany—opened it’s gates. Like in 2001 and 2004, a visit was obligatory to mee, so to say. This is a report on selected parts of the fair. 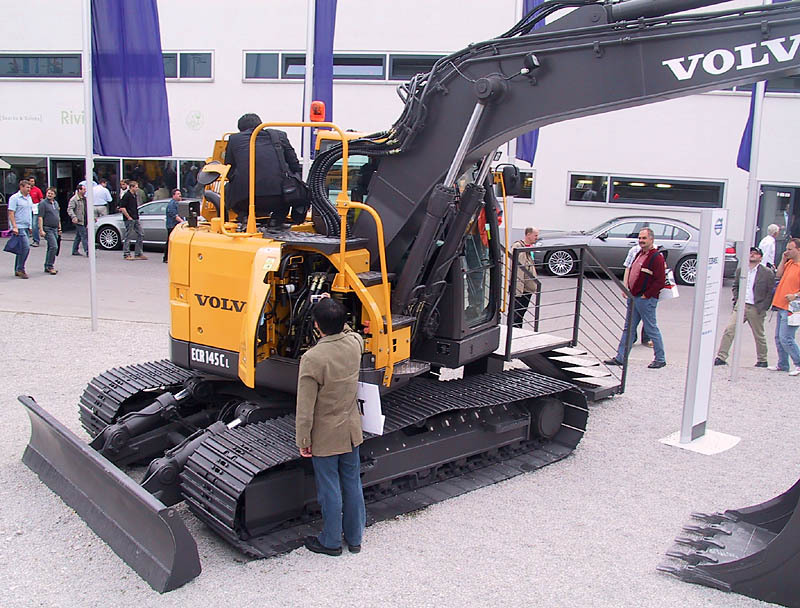 In the A halls, mainly manufacturers of smaller tools and machinery components were present. 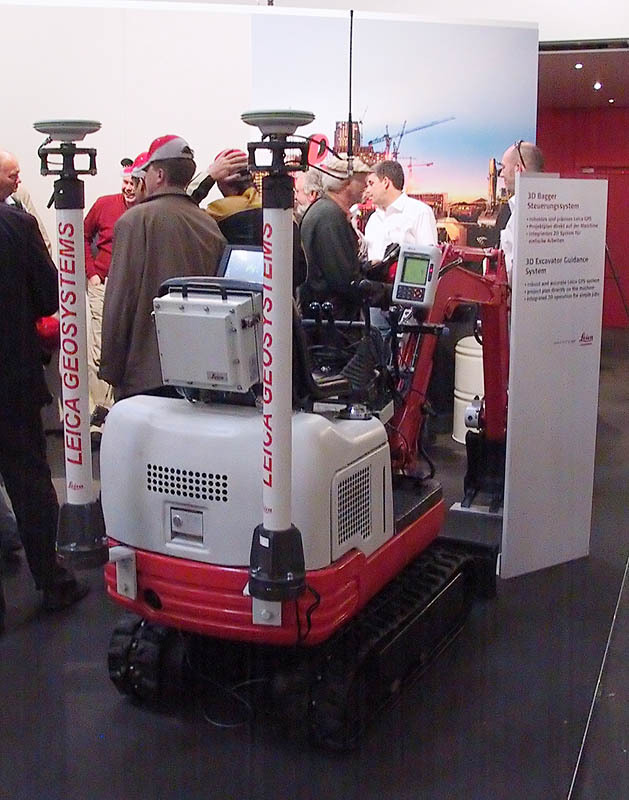 Among these were manufacturers of machine control systems based on Laser or GPS like Leica Geosystems or Prolec. Also manufaturers of attachment tools could be found here and there. 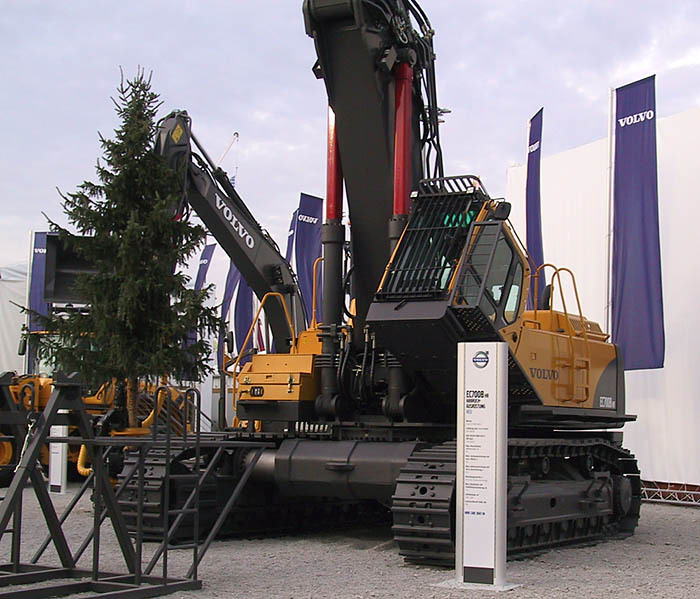 On of these was Mantovanibenne, who showed their biggest hydraulic shear, the multi system MS60R with changeable jaw sets. 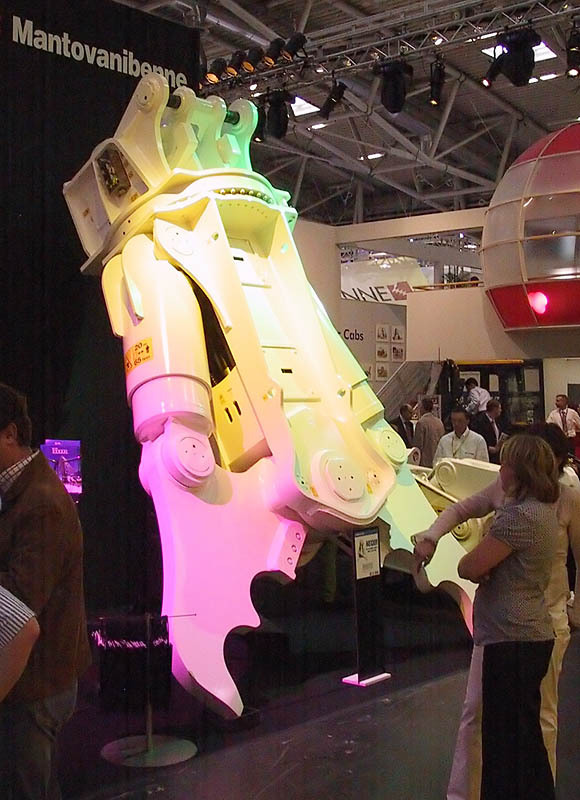 The one at the booth featured a combi-cutter jaw set which brings the tool to a weight of about six tonnes (13,600 lb). 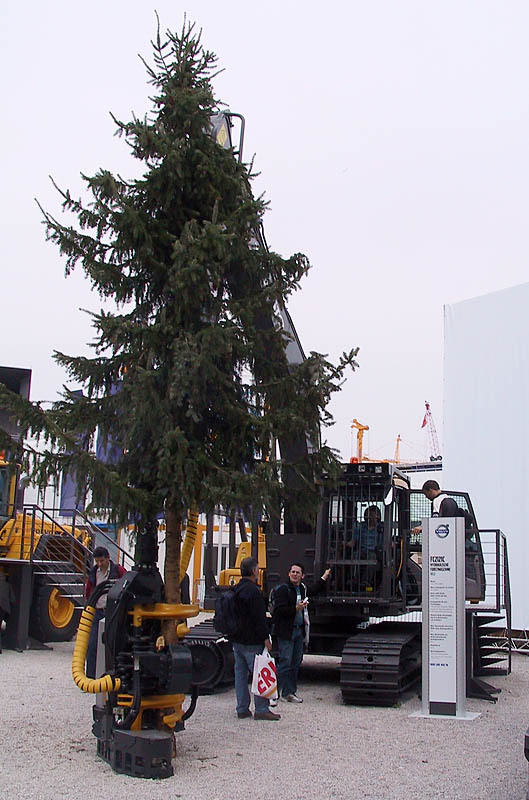 Wimmer was another manufacturer of attachment tools and showed a line drilling unit “LUNA” mounted on an Caterpillar 325D LN. 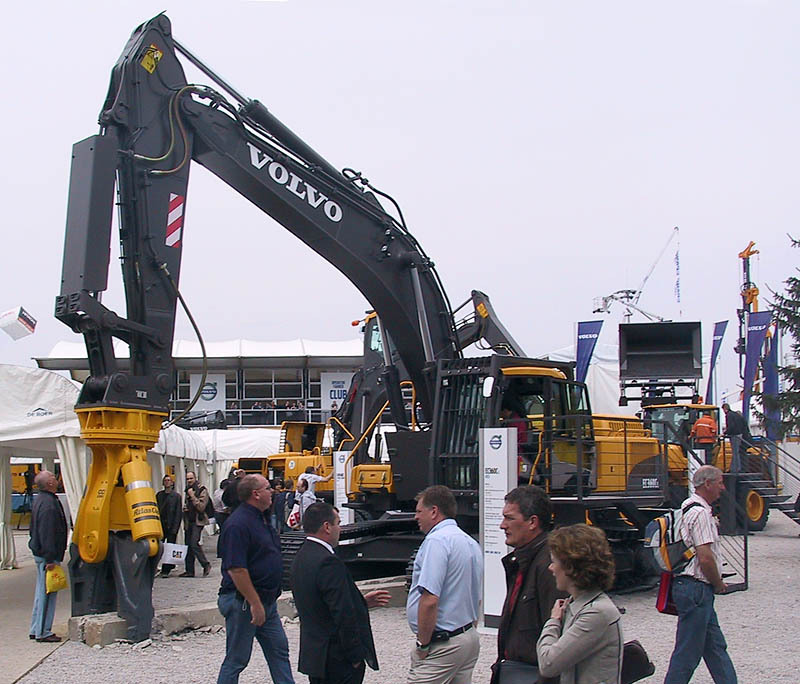 A large varity of manufacturers was present in the halls B1–B4, ranging from products for construction material recycling and production of cement and concrete to equipment for road construction and tunneling. 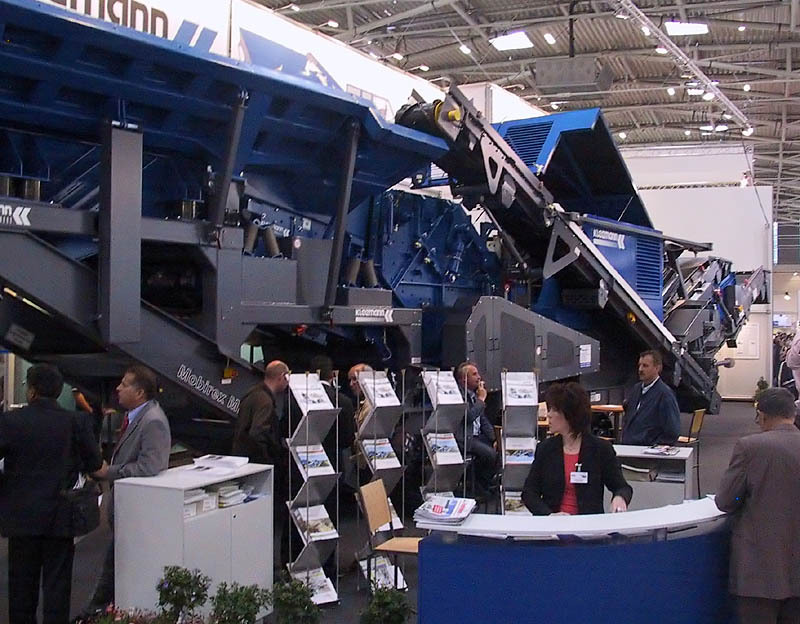 Accordingly, several crushers and screeners from Hartl and Kleemann could be found in the first halls ans between the halls. 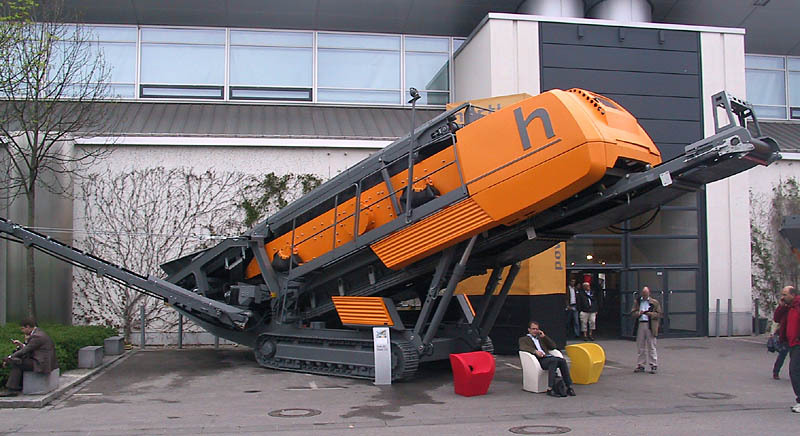 Hartl Powercrusher showed, among other machines, the flashy designed screener HCS 6015 which is mobile despite it’s high throughput. 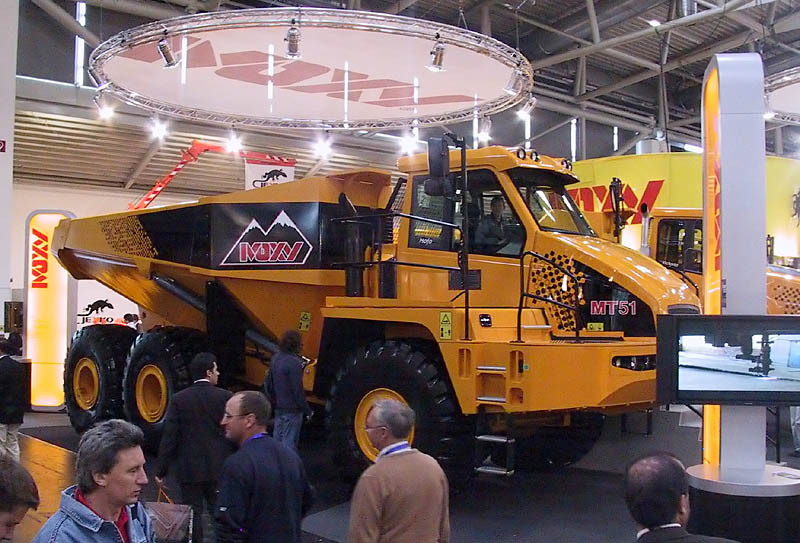 On Kleemann’s booth in hall B2, their top-selling and largest impact crusher Mobirex MR130 Z was on display. 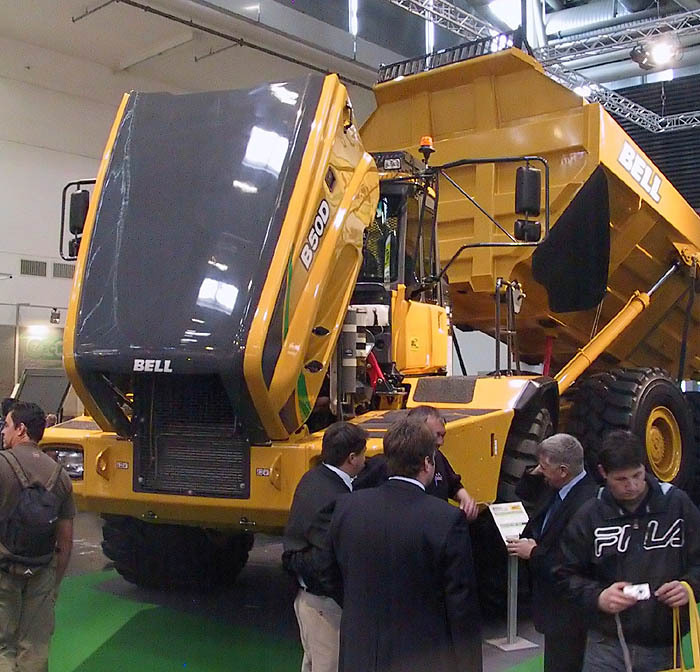 In hall B3 several manufacturers of dump trucks were present. 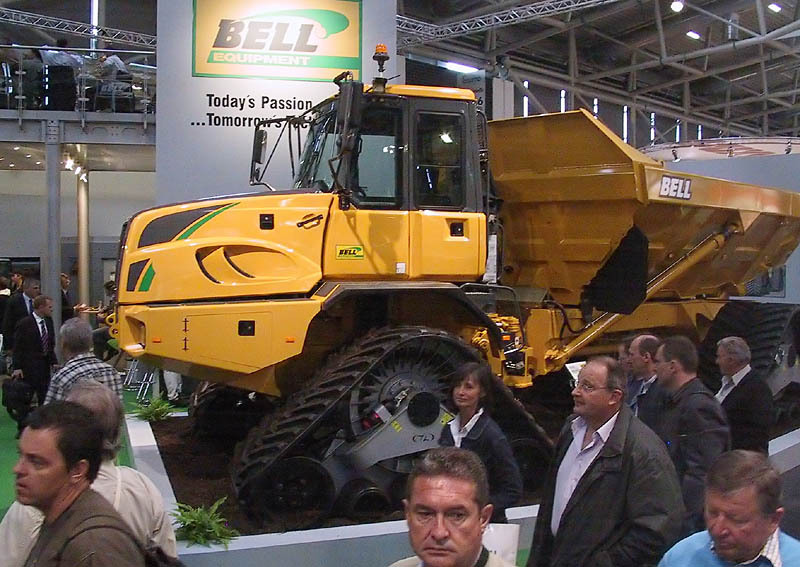 The star on Bell’s booth was the B50D, an articulated dump truck with a payload of 50sht, which will be also manufactured in the German Bell plant in Eisenach from 2007 on. 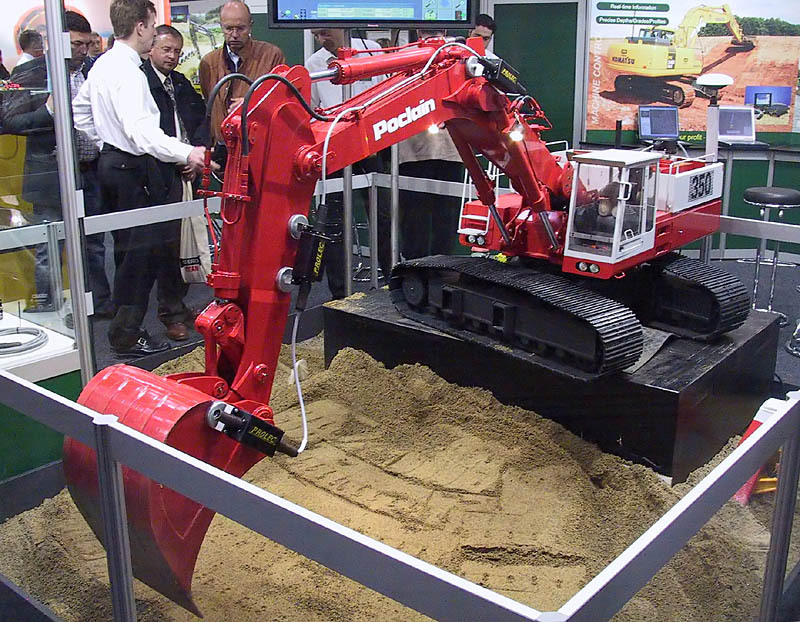 Furthermore, a B30D with tracks was on display: a machine developed on suggestion of a Dutch peat cutter. 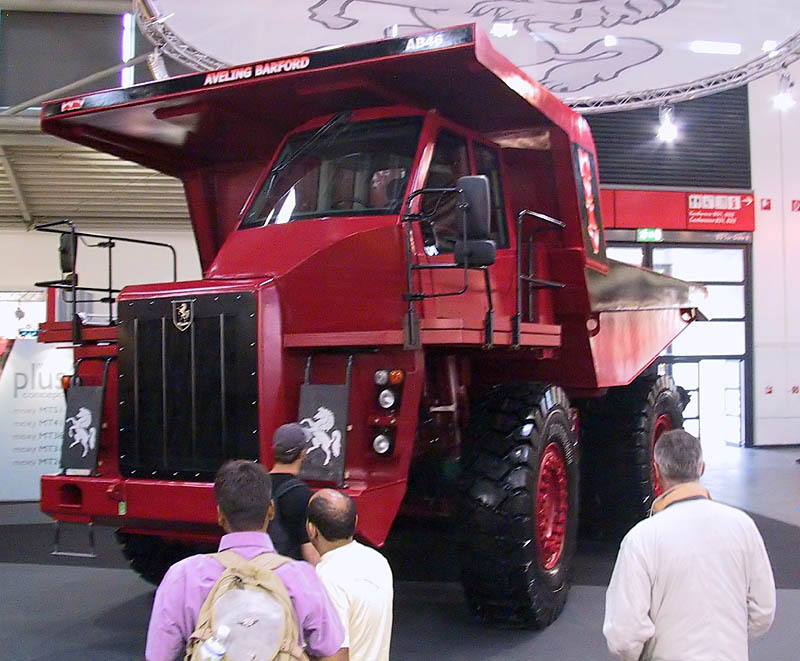 Directly adjacent to this, Moxy showed another 50sht articulated dump truck as well a off highway truck AB46 in Aveling-Barfors livery. 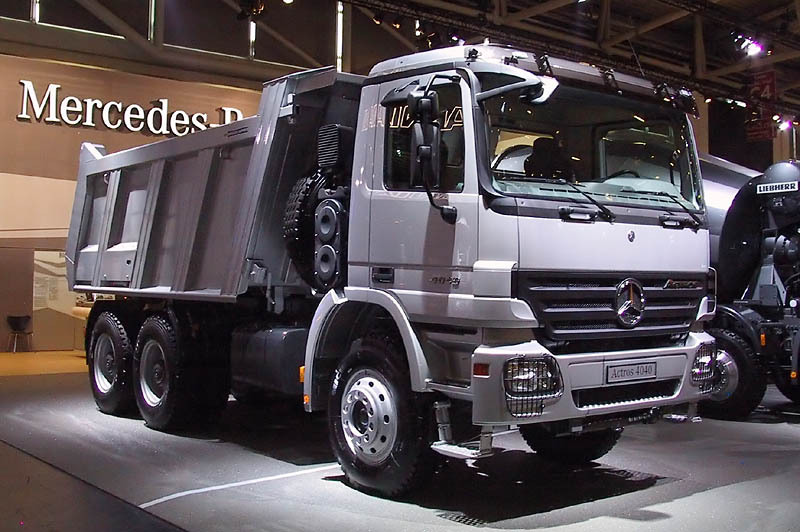 In contrast, hall B4 was occupied manufacturers of commercial vehicles, among there MAN and Mercedes-Benz.MAN showed the MAN TGA 26.480 6×6H BL as a world premiere with air suspension on the rear axles HydroDrive. 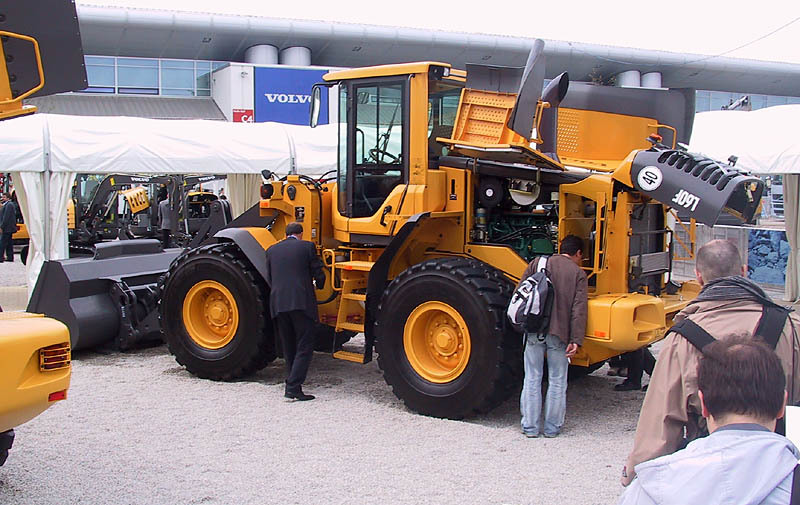 The later of which is a optional hydrostatic drive of the front axle. 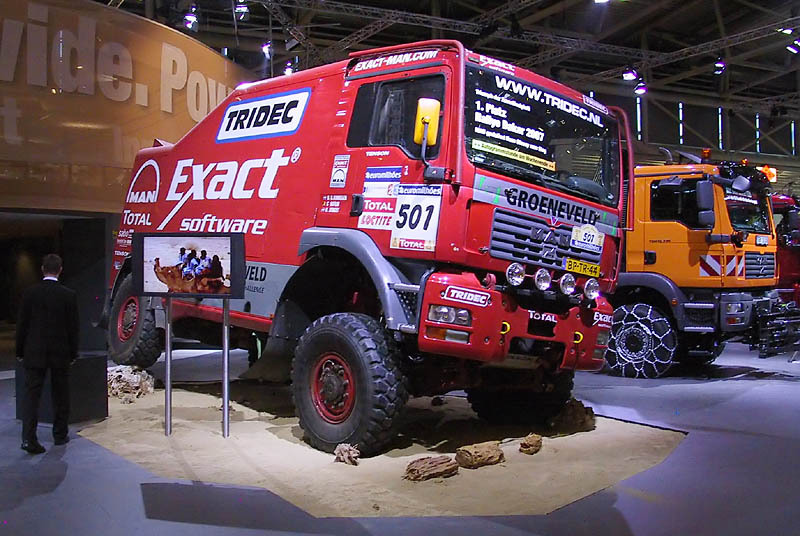 Another interesting vehicle on display was the winner of the Rallye Dakar 2007, a TGA 18.531 4×4. 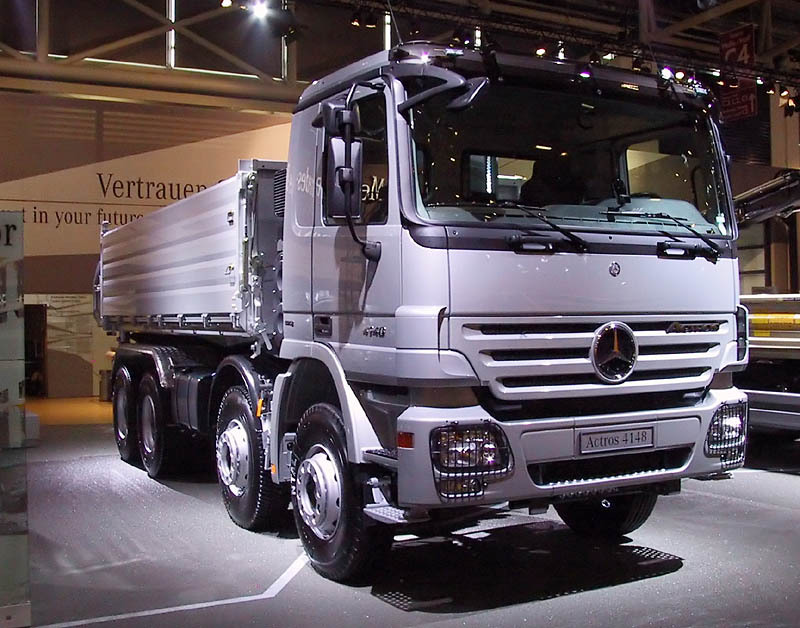 Mercedes-Benz showed a it’s range of products in uniform silver. 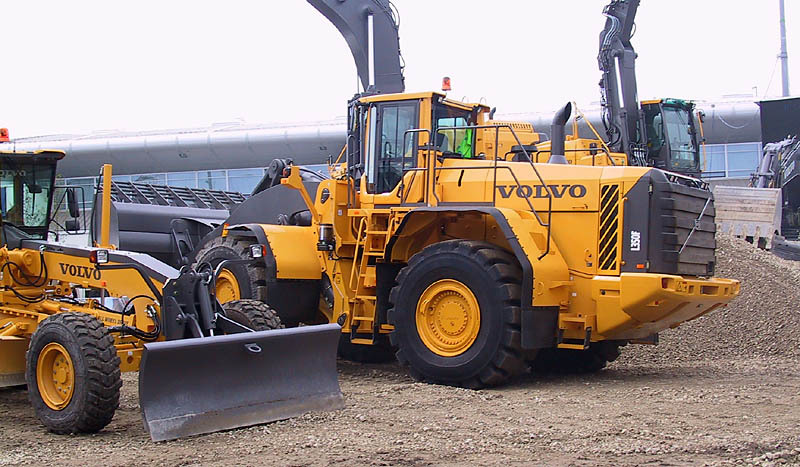 Among there were two lorries built on Actros 4040 and 4148 as well as a heavy haulage tractor Actros 4155. MAN TGA 26.480 6×6 to the far left and the winner of the Rallye Dakar 2007 to the left: a MAN TGA 18.531 4×4 Actros 4040 (right) and Actros 4148 (far right), both as lorries. 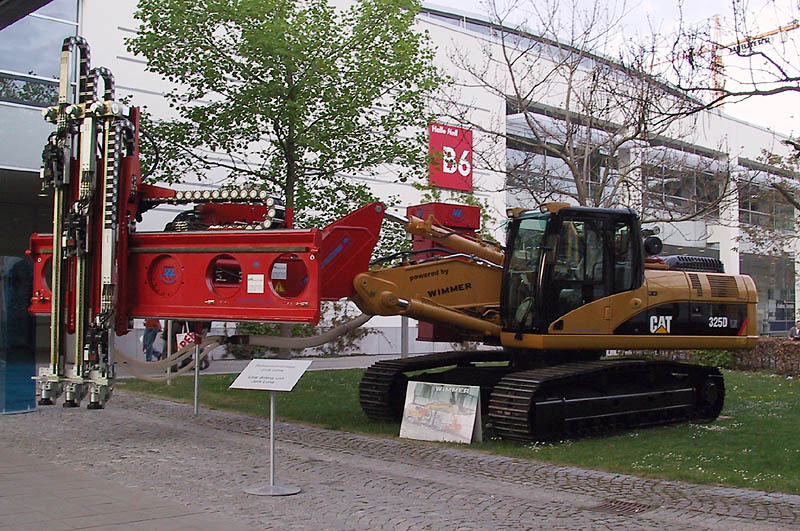 Hall C2 was home of the special exhibition “Bauma Mining”, so many suppliers of mining equipment could be found here. 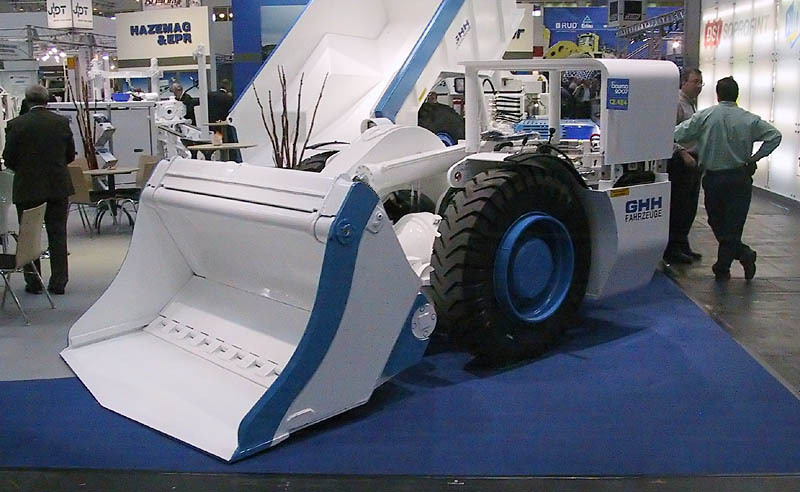 One of those was GHH, who showed a load haul dumper LF-4.4 for underground mining use. 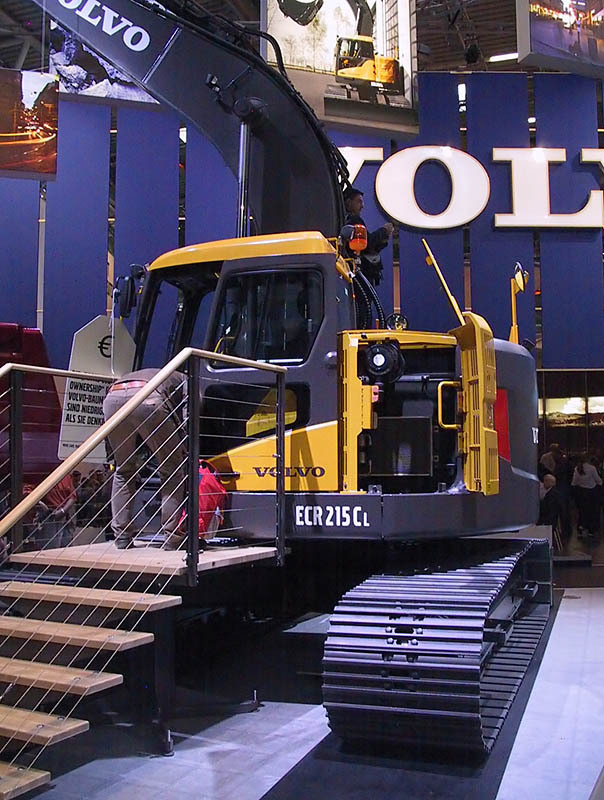 Two halls onward, in C4, as well on the adjacent open-air ground, Volvo was situated. 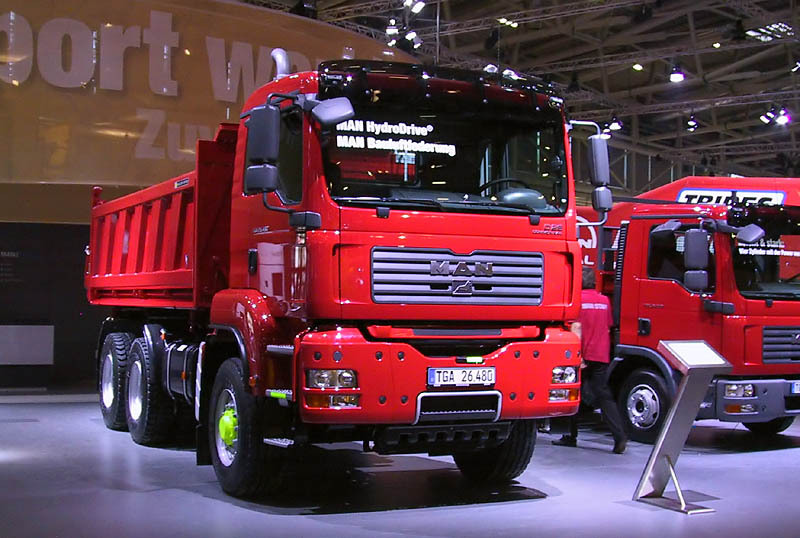 The Swedish company had brought a lot of novelties to Munich: For example the F series wheel loaders and the short tail excavators ECR145C L and ECR215C L with 14 and 21 tonnes of operating weight respectively. 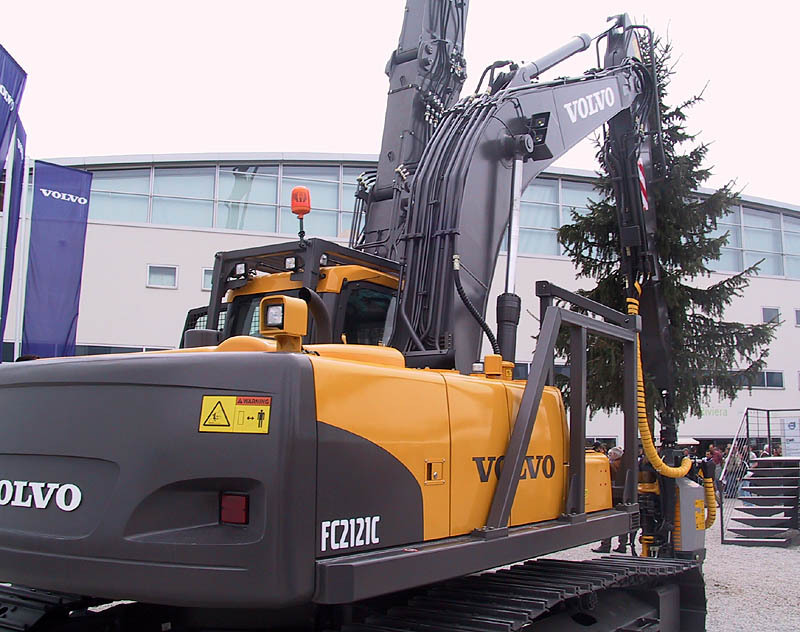 Of course, more machinery like EC360 L in demolition version and Volvo’s largest excavator, the EC700B L with longfront boom or the forrestry machine FC2121C could be seen.